Discussion in 'Discussion (AdGuard for Android)' started by Rogue Sero, Apr 14, 2019 at 6:15 PM. So, since I got my Pixel 3 XL about 2 weeks ago, Internet with Adguard Pro on is painfully slow. Like really really slow. Most notably in Chrome and Instagram. I never had this issue on my Pixel 2 XL. Everything was working great with normal, fast internet. So no clue what the difference is between the devices. Today , in Apps Management, I found an (system) 'app' simply called ''DNS''. I turned it off for Adguard. (flipped the Adguard protection switch for the 'app'). And now it seems, all is working fast again. I still use Adguards DNS in the main settings, though. Now I just wonder if I did a good thing. What exactly happened ? And should I keep it this way ? Thanks everyone. Really appreciated ! Can you go back to the default settings and just try changing the DNS server type from DoH to DoT/Crypt/Regular and check again? 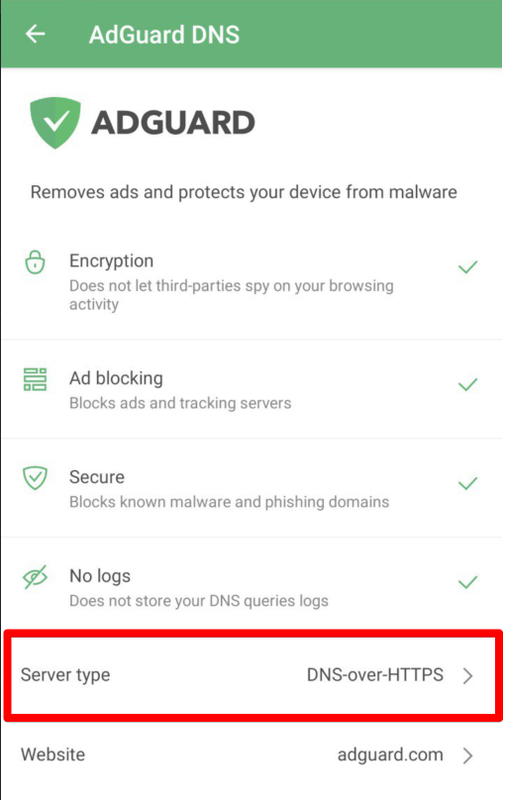 You mean 'reset' the whole app Adguard ? And how / where do I change to DoT/Crypt/Regular ? I'm sorry, I truly am a noob when it comes to this. All I remember is everything working great on my Pixel 2 XL, whichever settings I used. Thank you so so much fro your help.